Unleash your inner phoenix! 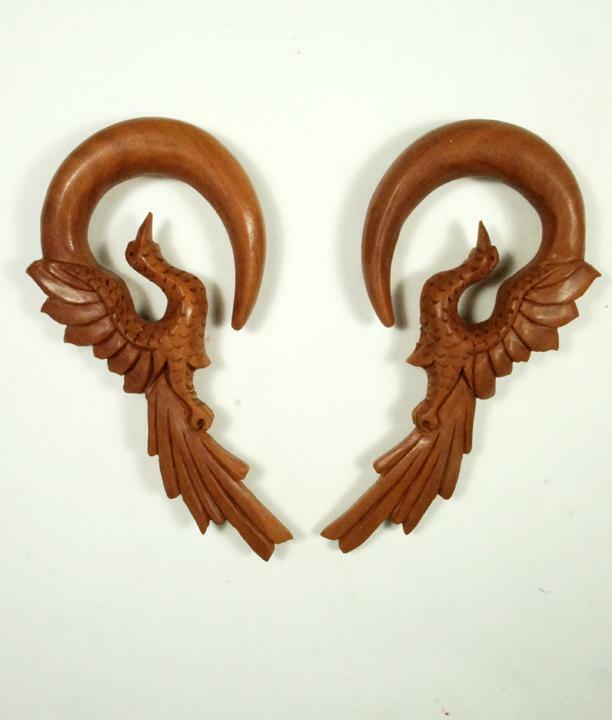 These Sawo Wood Flying Phoenix gauged ear hangers feature a phoenix with wings outspread ascending. Finely detailed, the gauges are hand crafted from Sawo Wood which has a beautiful natural luster and wood grain. In popular folklore the phoenix obtains new life by arising from the ashes of its predecessor and is most commonly used as a symbol for rebirth and renewal. All of our ear gauges are sold in pairs. If you don't see your gauge size listed please feel free to contact us or check back later since we're constantly restocking or adding new sizes and styles to our line.